Many gym goers, and normal everyday people, want to build muscle mass. But, the first mistake they make is working out like a body builder. You do not want to do this, especially if you’re just starting out in the gym. Body builders are not necessarily good role models to look up to; More often times than not, these people take drugs to increase their muscle mass, but they won’t tell you that. Now, don’t get me wrong, taking natural supplements is not a bad thing, it’s the steroids that are the problem. And, on top of that, body builders live by these horrible routines that don’t help improve muscle mass one bit. Instead, if you’d like to build muscle mass the all-natural way, check out these tips and tricks for your muscle-building journey. If you want to build muscle, the first step is becoming stronger. More strength = more muscle. Add more weight every few trips to the gym, specifically to exercises such as squats, bench presses, and deadlifts. This will add size to your muscles, along with strength. Increasing weight every so often, as said above, is a valid and easy way to gain muscle. Although, you have to keep in mind, pain is gain; It will cause your muscles to feel extremely soar. Keep your focus on adding weight each week in the gym, don’t focus on the pain you’ll feel after the workout. Don’t drastically alter your weights just add a couple of pounds every now and then, when you feel like you can handle it. If you continue to lift the same amount of weights over and over again, your muscles will not become stronger, and your mass will stay the same as its always been. This can also be referred to as doing a compound. Compounds are exercises that workout several muscles at once. Such exercises consist of squats, deadlifts, barbell rows, and overhead presses. Doing such exercises will allow you to lift more weight, considering you’ll be using more than one muscle, and will in turn allow for your muscle mass to increase. When using barbells, it is recommended to use those that are not attached to any machine in the gym. These are known as free weights. Lifting barbells allows your muscle mass to grow exponentially, especially considering your body can tolerate lifting heavier barbells than any other tool in the gym. However, this doesn’t mean you should jump right into lifting heavy barbells. Start light and work your way up to avoid any risk of injury. The more you workout a muscle, the more muscle mass will grow. And, the more you perform a particular exercise, the better your form and technique will be, allowing proper growth of muscles to take place. Also, with good form and technique, your body will be able to withstand a greater amount of weight during the exercise. For example, start squatting three times a week versus one time a week. If you want the best and most optimal muscle growth, you have to allow your muscles to recover. During the recovery period, muscles are able to shred their fibers in order for them to regrow, allowing for a bigger, and stronger, muscle. They won’t be able to do this, and they won’t be able to gain muscle mass, unless they have ample time to recover. The suggested workout regimen would be to workout one day, rest the next day. This will equal approximately half and half each week: half workout days, half rest days. To have the most sufficient recovery days, make sure you load up on healthy foods, loads of water, and adequate sleep. Specifically, when eating healthy, make sure you maintain an adequate amount of protein in your diet. Protein is vital to gaining muscle mass, especially considering it’s the key ingredient in rebuilding new muscle. To add, protein also helps the body repair damaged tissue within the muscle after a workout. Gaining muscle mass the natural way is hard, and time consuming. You can’t expect to have a ripped body within a couple of weeks unless you take steroids, and let’s be real that’s not natural, not healthy, and not the ideal way to go about getting strong and bigger. Stop trying to look like the celebrities, it’s unrealistic and unnecessary. Be yourself, increase your muscle mass at your own pace, and you’ll be stronger and bigger in no time. If you’re not consistent with your workouts, your muscle will not grow. It’s that simple. 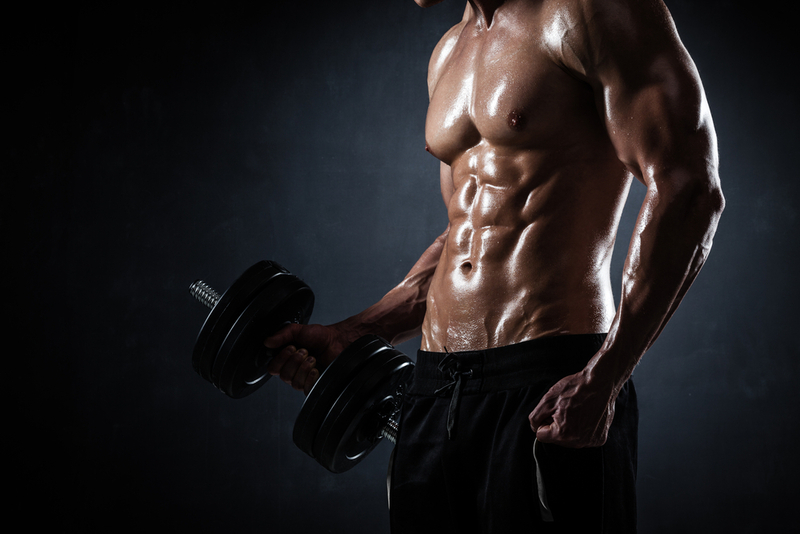 Gaining lean muscle mass is difficult to do on a routine or schedule that isn’t quite often. Eating well all the time and training/working out at least three times a week is necessary to building the muscle mass you desire. Being consistent is the ultimate key. If you’re willing to make all of these change in your life, or if you’re willing to keep up with these routines in your workout schedule, you’ll be sure to gain the amount of muscle mass you’re looking for, depending on the amount of weights you use. Remember, consistency is key; Once you commit to working out and incorporating all of the above in your regular daily routine, you have to keep it up to see the best results.